First of all, I would like to say kudos to you for choosing such an interesting, but also challenging activity like fish keeping. Challenging? What can be so difficult about keeping a few fishes in a glass tank, you might ask? Well, there are a number of factors that can influence the downfall or the success of your aquarium. 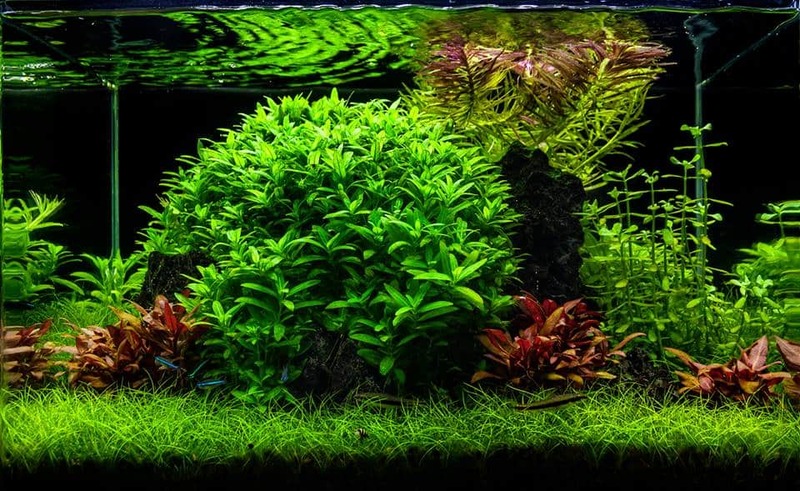 Some knowledge and a good amount of time invested can result in a blooming and beautiful aquascape, while shortcuts and disinformation can leave you with barely surviving plants and very unhappy fish. If you googled a few pictures and found fish tanks radiating vivid colors and accommodating an entire colony of Guppies or Tetras, don’t even think that those results came overnight. 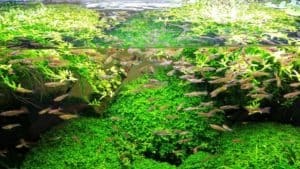 This article is not meant to discourage you, but instead, properly prepare you and show you how to equip your aquarium. 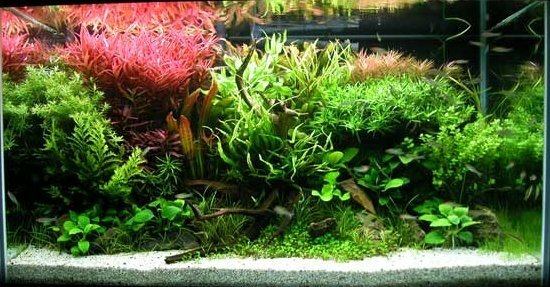 I can start by breaking down key factors to having a successful and thriving fish tank with live plants, and those would be: good light intensity, correct light spectrum, an adequate amount of nutrients, correct water temperature, and good CO2 conditions. Today we are going to cover, in my opinion, the most important factor of all, and that is how to adjust the light intensity and spectrum for your tank. 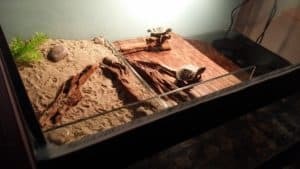 Follow this simple aquarium lighting guide and you’ll be able to enjoy your new hobby just as much as I do and discover why fishkeeping can be even more engaging and rewarding than other hobbies and pet activities. How Much Light Is Too Much? So you found the perfect corner in your home where you want to put your new fish tank. While aesthetics are undeniably important, you also want to make sure your aquarium is close to a natural light source. 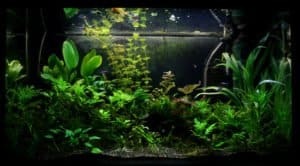 If you have a window nearby that’s emitting a lot of ambient light, placing your fish tank close to it can be beneficial for both your plants and your fish.However in a planted aquarium if you plan to achieve a thriving aquascape then it is better to cutoff the natural lights and go for commercial LED lights for aquarium plants to have more control and flexibility. Another factor that will determine the amount of light needed is the size of your tank. If it is tall and deep, you will require a more powerful light source that can reach the plants located near the substrate level. This is where the intensity of the light output plays a vital role. While you are probably used to measuring the intensity of regular bulbs in Watts, Aquarium lights require a different unit of power. In order to get a good idea of how much light is actually reaching your plants at certain depths, you are going to have to use PAR as your primary unit and indicator. Without getting too technical, PAR determines how much of the desired spectrum (i’ll get into that next) reaches the plants at a certain distance and allows them to photosynthesize. Simply put, what lumens are to a human eye, PAR is to plants. The spectrum basically tells us what kind of color is the light going to be. The human eye responds very differently to the color of the light compared to plants. While we are more sensitive to yellows and greens, plants react better to the blue and red area of the spectrum and thrive when hit by this kind of light. This plays a crucial role in photosynthesis and, if done right, will result in a beautiful aquarium full of vivid colors. This is where freshwater and saltwater aquariums differ a lot. Most freshwater plants thrive on a source that resembles natural light. Anything between 5500-6500K can work great for them. Of course, you want your aquarium to be aesthetically pleasing and compliment your room as well. You can experiment here and go up to 10000K with some species. This color temperature is also known as “cool white” and looks great. While freshwater plants are considered more forgiving, saltwater inhabitants need a specific light color, also known as actinic. This is a blue light that will allow your corals to thrive and also make the colors of your saltwater fish “pop”, so essentially you get a beautiful tank while also growing your corals. Experiment, try out different color temperatures in order to get the desired look, just keep a reminder to have the right wavelengths present at all time. When trying to figure out the answer to this question, you have to take into consideration two variables. First is the amount of time you want to expose your fish tank to a light source. Second, the type of plants that are populating it and the intensity they require. If there is a good source of ambient light close to your tank, you’re going to want to limit your supplemental light source to just a couple of hours. Aim for somewhere around 8-12 hours in total. So let’s say you’re getting about 6 hours from the window in your room where the aquarium is located, you will want to activate your supplemental lights 2 hours before and 2 hours after the natural light source is at its peak. Fixtures with built-in timers are great for this, but you can also buy a timer individually. This is where the second variable comes into play. If you’re growing low-tech plants that require a low-intensity light source you might get away with a simple fixture and good ambient light. However, if your plants require a high-intensity light source, you’re going to have to look at some more complex LED fixtures with good PAR ratings. Unfortunately, the same spectrum that makes your plants flourish also promotes algae growth. 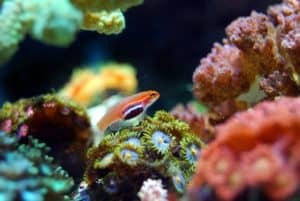 While some are even desired to a certain extent in saltwater tanks, because they can benefit your corals, other types of algae can have a negative effect on your fish, but especially on your plants because they are competing for the same resources. On top of that, they make your tank look dirty and just plain ugly. Overexposing your tank to too much light can speed up algae growth significantly. This is exactly why I emphasize on having a regular schedule for your light fixtures and limiting the light source to an amount your plants need to grow. In my experience, the only way to truly prevent algae growth to spiral out of control is to change the water on a regular basis and clean your tank as often as possible. Also, certain species such as snails, shrimps and even fish eat algae and can help you with this pesky problem. 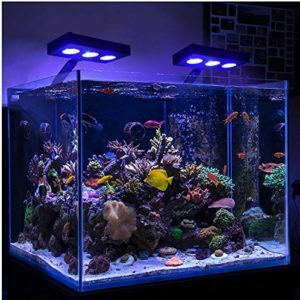 Now that you have a basic understanding about aquarium lighting guide and how to adjust them to your needs, all that is left to do is go out there and pick up a tank that will supplement your room perfectly. Fill it up with your favorite fish species, add some beautiful plants or corals, mount an appropriate light fixture on top of it, and get your fish keeping hobby started. Before you know it, you will be a proud owner of an entire colony and will be growing plants like it’s second nature. In case you are a saltwater or reef person we have something interesting for you as well. Check out our guide on best LED reef light. This article was written by Larry Gilliam from Kobipets.com, if you like it visit our website for more interesting articles.